Poker Chips, Cards and Casino Dice 11x14 in. 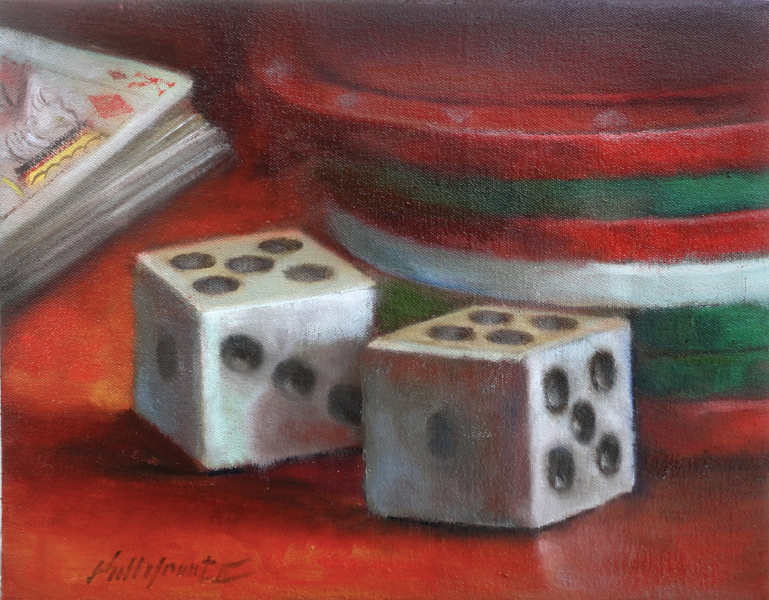 Poker Chips, Cards and Casino Dice 11×14 in. This original oil on stretched canvas painting is a depiction of a stack of poker chips with cards and dice. The piece is painting is luminous colors, including red, blue-green, yellow, white and umber. If interested in purchasing a giclee print of this original please contact us.